Poet, reviewer and essayist, Kate Camp published her first collection of poetry, Unfamiliar Legends of the Stars (Victoria UP, 1998), to acclaim, winning the NZSA Jessie Mackay Award for Best First Book of Poetry at the 1999 Montana New Zealand Book Awards. She has proceeded to publish five books of poetry, establishing her at the vanguard of New Zealand poetry. 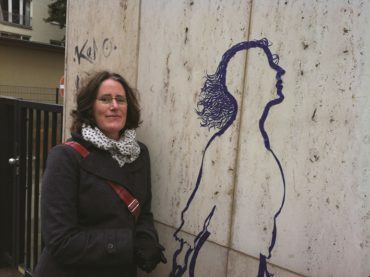 Kate’s work has been widely published, appearing in an array of New Zealand and international journals and magazines, including Landfall, NZ Listener, New Zealand Books, North & South, Sport, Takahē and Turbine. She has a regular slot on Radio NZ with Kim Hill reviewing classic literature, and has had poems selected for Best New Zealand Poems and The Best of the Best New Zealand Poems. Kate has been shortlisted and winner of many prestigious awards. In 2011, The Mirror of Simple Annihilated Souls won the New Zealand Post Book Award for Poetry. In the same year, she was awarded the Creative New Zealand Berlin Writers’ Residency. Her collection, Snow White’s Coffin, was written during her experience and was a finalist in 2013 New Zealand Post Book Awards. Kate was born, and lives, in Wellington. She was awarded the Katherine Mansfield Menton Fellowship in November 2016. Her newest collection, The Internet of Things, will be published in 2017.